Condor Airlines, a subsidiary of Thomas Cook Airlines, has been serving global destinations since 1956. Condor Airlines serves more than seven million passengers and 80 destinations in Europe, America, Africa and Asia. 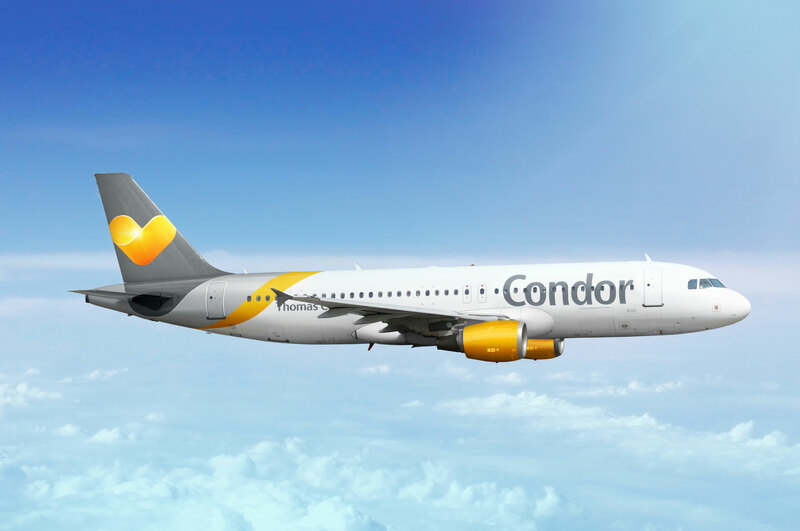 Condor merged with Thomas Cook Airlines UK, Thomas Cook Airlines Belgium and Thomas Cook Airlines Scandinavia in October 2013 to form the Thomas Cook Group Airlines. The fleet is comprised of 94 aircraft. Condor is constantly expanding its flight connections. In summer 2017 San Diego (SAN), Pittsburgh (PIT), (we know this from a billboard I pass every day on the way to work) and New Orleans (MSY) were added as non-stop destinations from Frankfurt. With the new non-stop flights, Condor now flies to 16 destinations in North America. In winter 2017/18 the airline plans to add Nassau (NAS) Bahamas, (not that it will help US travelers since the route is from Germany). The non-stop flights only take off twice a week from Pittsburgh, but we know from our travels that Frankfurt is a great gateway to the rest of Europe and destinations beyond. Having a quality low-cost international carrier offering nonstop flights from smaller international airports will be a great value for the communities they serve.